[The Pick Up Artist has retired. This page is up for informational purposes only.] 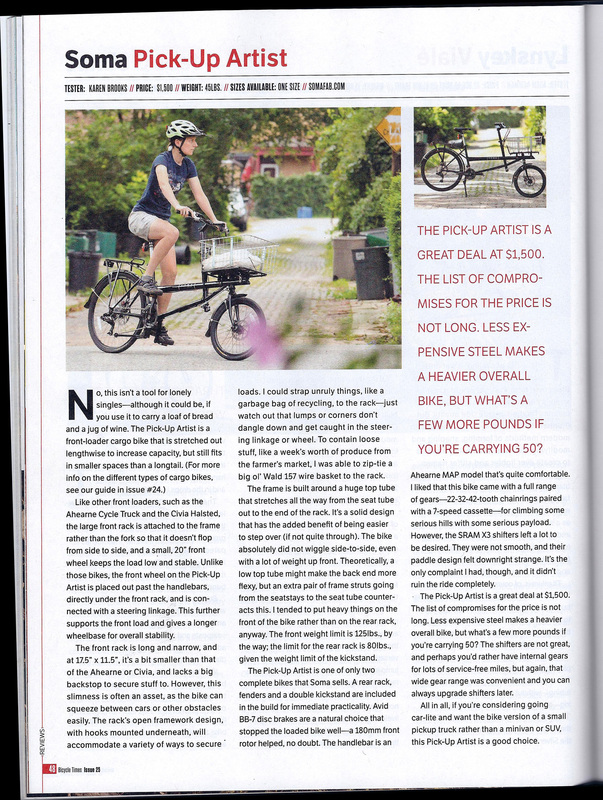 WIRE Magazine called it "the best-named cargo bike ever", but there is much more going for the Pick-Up Artist than its name. This is a great option to consider if you are looking for a little more hauling capacity than the Tradesman and you don't want to piece together parts for a frame. 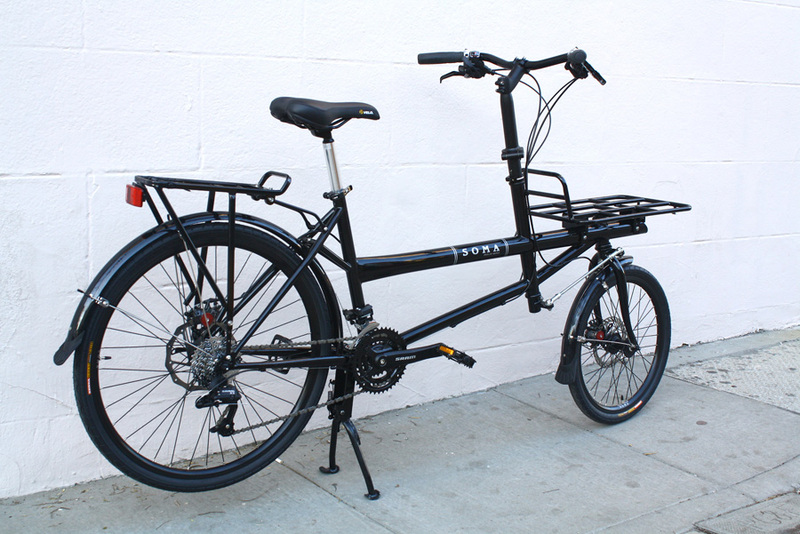 The PUA is a complete bike. 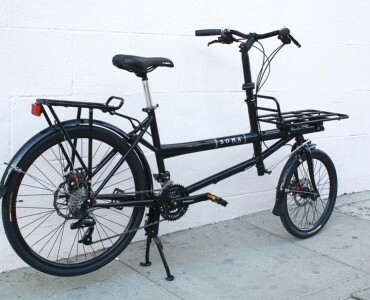 - The longer wheelbase and linkage steering makes for a milder steering beast (better than carrying heavy loads). It's longer front platform also takes bulkier loads. 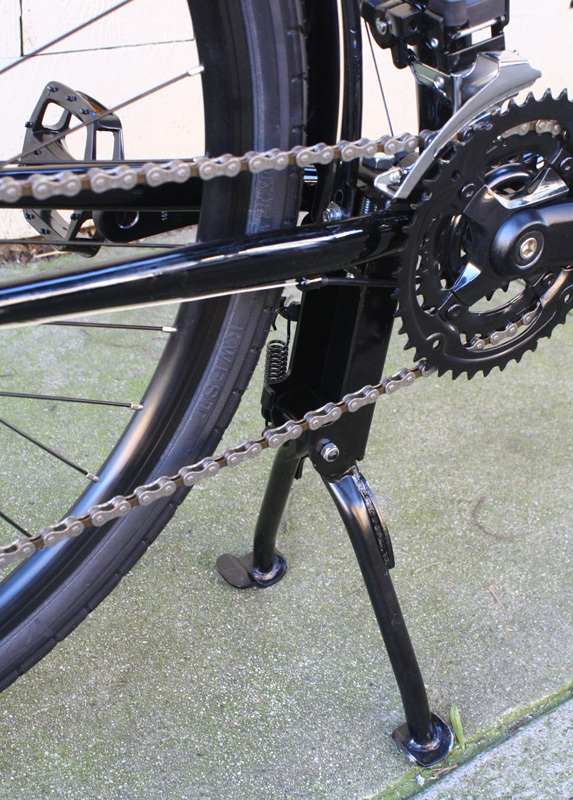 - The platform rack is fixed to the frame - not the fork - so the front load does not affect the steering as much as with a fork mounted pannier or bar mounted basket. 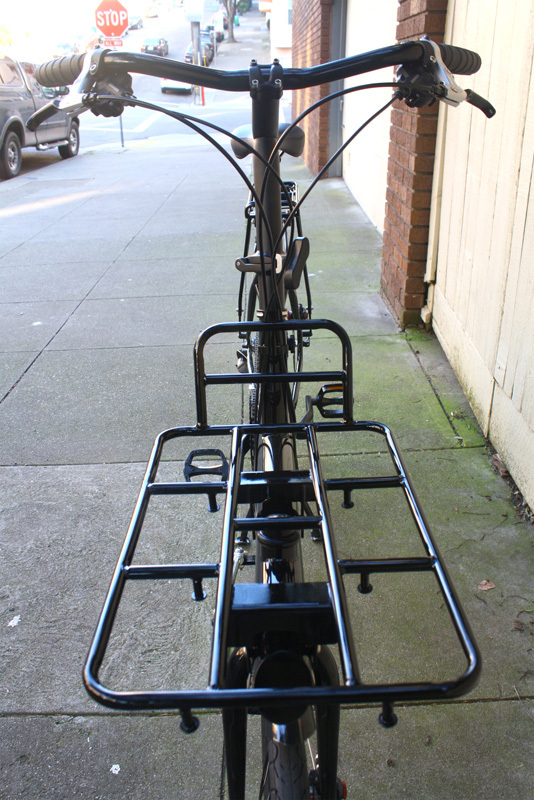 - Super low standover height makes disembarking easier even if you have something on top of the rear rack. Tires: Kenda Kwest 20/26" x 1.75"
Can I sit on the bike while the kickstand is down? This is not really an frequently asked query, but it is important to address. The answer is "NO". 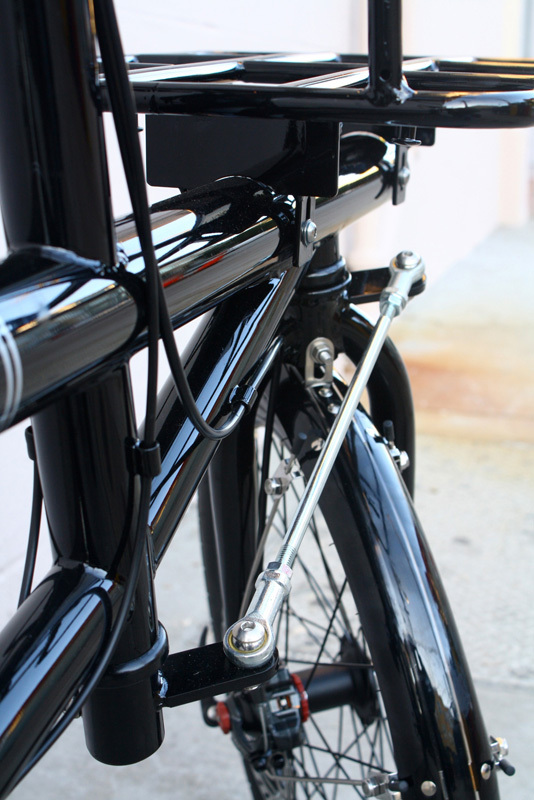 The kickstand is plenty tough, but the chainstay is thinwall tubing and will deform if you sit on your bike while the kickstand is engaged. This will happen too if you 80+ lb. 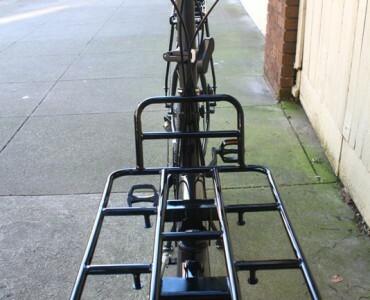 loads in the rear, while the kickstand is engaged and if the rear tire is not touching the ground.  I manage the Grounds for St. Olaf College in Northfield, Mn, a residential college with approximately 3000 full time students. I have over 350 acres of groomed campus (1200 acres of managed property) with 11 miles of sidewalks, 6 miles of roads, 2200 parking places, and 11 miles of natural lands trails. Except when absolutely necessary I have used a bicycle for my day to day work, year round, averaging 12 miles a day with over 800 feet of elevation gain. The bike does exactly what I expected. It is well thought out, carries loads well and handles well. Of course I have not had an opportunity to try it during the winter yet, but the geometry feels as though it will handle well especially with the Schwalbe Marathon Studs hanging on my office wall. Gearing is fine, I was surprised that even getting out of the saddle and climbing hills everything is stable. The 180 front disk is very nice to have defending under load. I have yet to settle on exact utility setup but have carried far more than I ever did on the Troll. As a big Dummy owner I am well aware of how much one can carry, the PUA is a perfect “in-between” fit. I had tried competitors bicycle trucks and had found that carrying the load forward of the wheel created some stability issues. 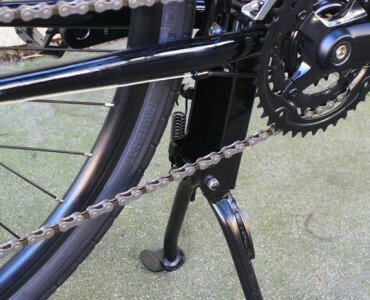 The PUA linkage to a forward mount wheel was ingenious! The oversized top tube carries the load nicely. I even learned that the fold down steer tube is useful when on the morning of purchase I loaded it into my Subaru Forester without a glitch. Issues? Of course. I own more bicycles than fingers and was fully prepared. My sits bones are British and, well I ride Brooks. The shifters, well I am a bar end fan coupled with Paul thumbs. 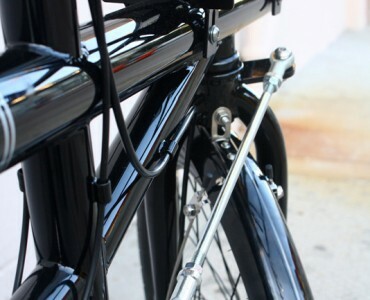 I will be replacing the rear rack with a Surly rack. I understand the sportiness factor but I like something closer to a 2” tire size. Stock tires are a bit rough on turf and walking trails and. Finally I need to find something to protect the top tube. I love the stand over but because I wear cleats I have noticed I am scratching things up. All in all the PUA is everything I expected so far. It is very classy and very utilitarian. It is one of those bicycles one has to think about filling that “only one bicycle” option. One could quite easily live car-less with this unit. I will try and keep you updated as the years go on. I will get some photos sometime soon.